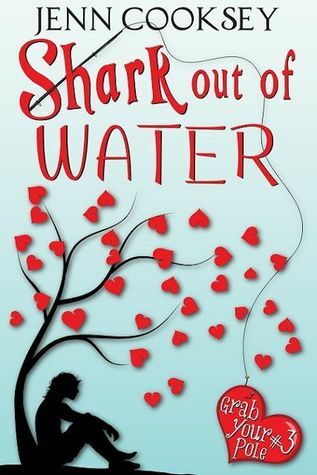 Like why this Shark Out of Water not in the Top 10 on Amazon / Barnes & Nobel / Kobo. Like why an increase in bacon sales has not been credited to the GYP Series. Like why unicorns are not one of the top Google searches in the past month or so. Like why Minnie Mouse is the way she is. I mean, did Mickey pressure her? Did she have trouble with other boy rodents in school? Is she acting out against Daisy’s promiscuity? The Other Fish in the Sea (book #2 in the GYP Series) ended in such a way that can only be described as shattering for any fan of series. I literally sat in my reading chair for 30 minutes just staring at my eReader. In that moment, I became obsessed. OBSESSED, I TELL YOU! I was so desperate to get my mitts on Shark Out of Water that I was even willing to change my 4-year old son’s name to Tristan (that’s right folks, OBSESSED)! Some people thought I was joking, but the scary thing is that I now know how to do it if it ever needs to be done. The third book picks up right where The Other Fish in the Sea left off. It’s told entirely from the boys’ point of view, and if you ever see me refer to the author as a genius (n. ‘gift of highest intellect’), this is why. There is nothing more frightening than seeing the inner-workings of a teenage boy’s mind. When I was done, this sense off loss overcame me. I had become so used to escaping to my ‘boys of summer’, and I was so sad that I couldn’t experience this book for the first time again. ...You’re one French fry short of a Happy Meal (no offence)! ...And if your mind went to a bad place at the mention of gabbing poles - well, that's on you! The cover obviously shows a fishing pole (and Amazon might now accept the review if I typed anything else).